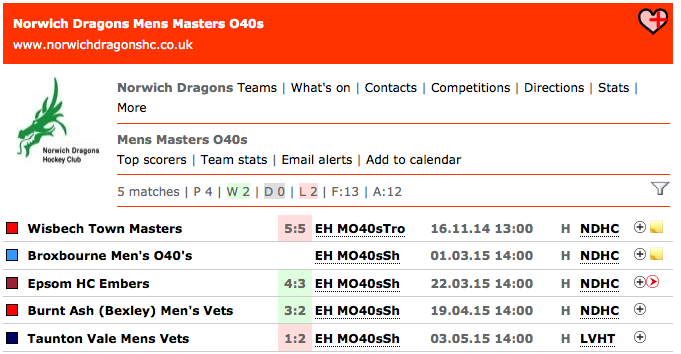 The o40s did well in their Trophy progressing to the later rounds. 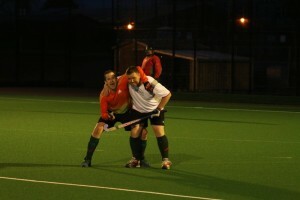 Unfortunately being knocked out by Peterborough again. 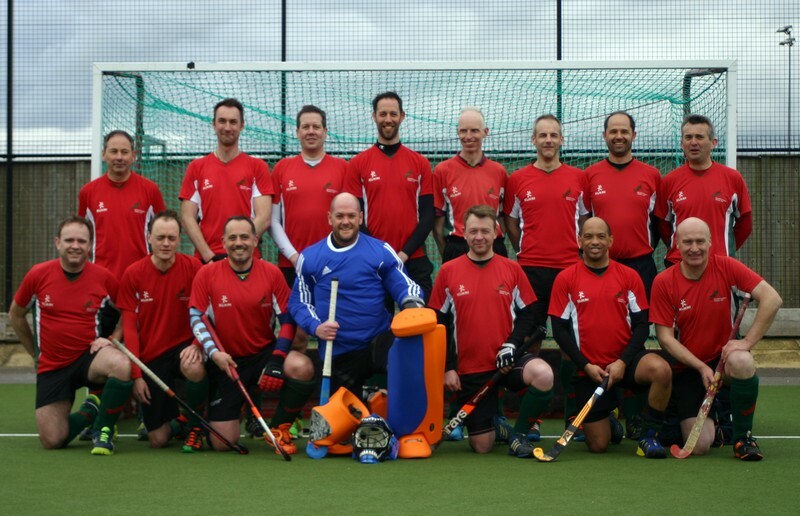 Congratulations to Rupert, Giles, Simmo and Gilly who went on to represent Norfolk o40s and who are now regional champions, fabulous. 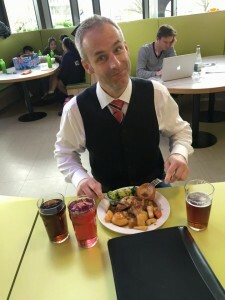 We held our annual Masters Quiz in October which was great fun and well attended. 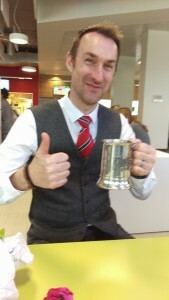 Many thanks to quiz master Chris Millar and make sure you all come back and try and win the cup next year. 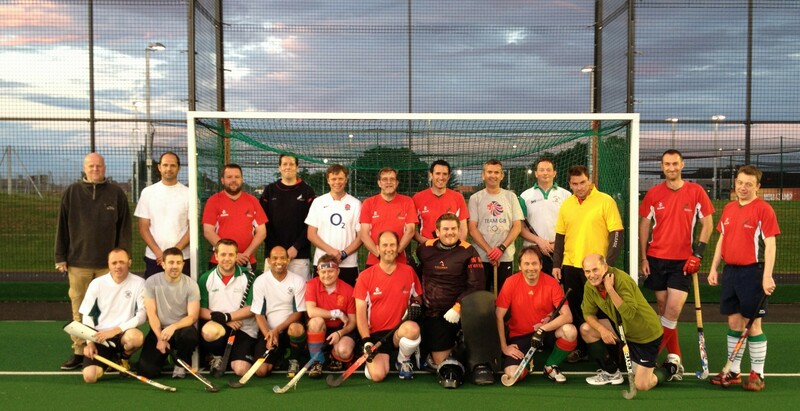 A selection of the NDHC Men’s Masters that just about have enough energy to play once a month at the Dragons’ Den. 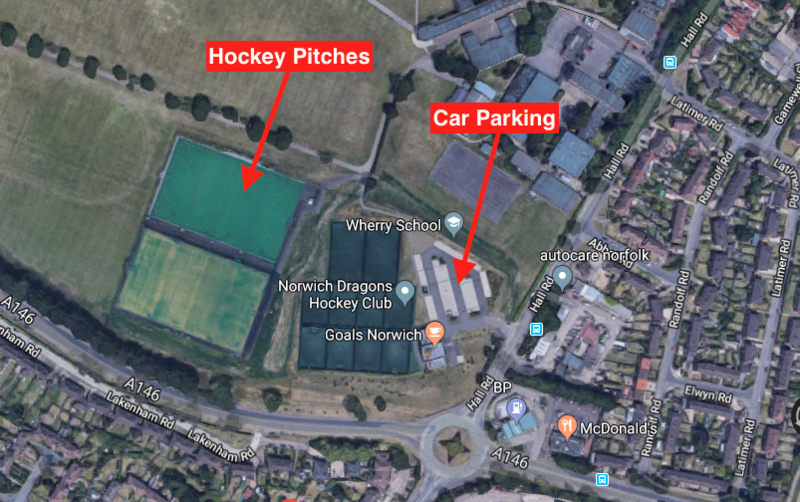 We are particularly keen to hear from anyone that used to play for Norwich Union Hockey Club and fancies having a gentle run around on the hockey pitch once a month. 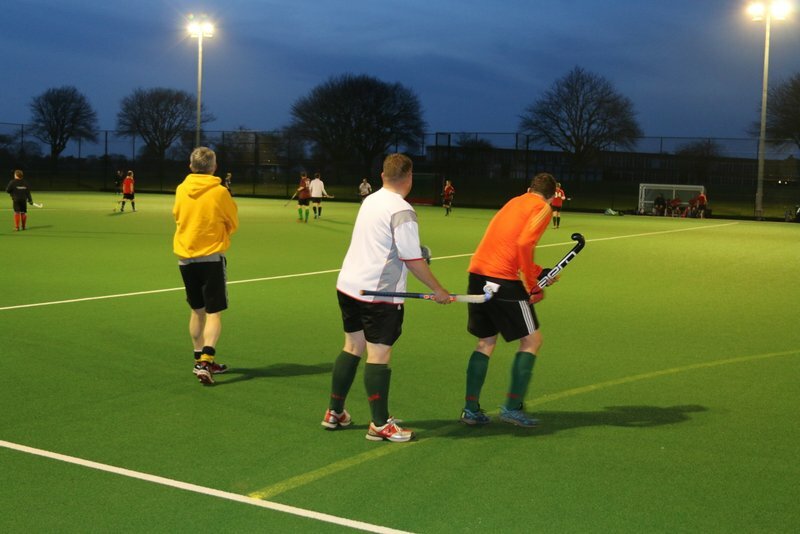 We don’t train as a team, after all, you can’t teach old dogs new tricks, but those of us that still play league hockey take part in the main club training sessions. The team regularly takes on the younger members of the Club to show them how the game was played in the olden days. 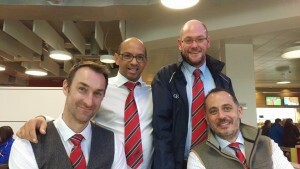 Take a look at our History section and you might spot some of these guys in their youth!! 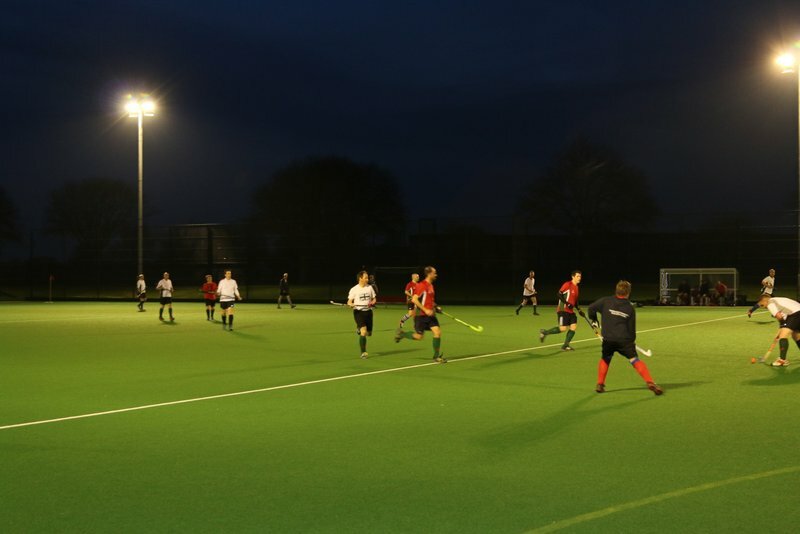 Trophy Round 1 saw a defeat of 5-2 against Dereham, which means Dragons progress to the Shield for the second successive season. Photos here. 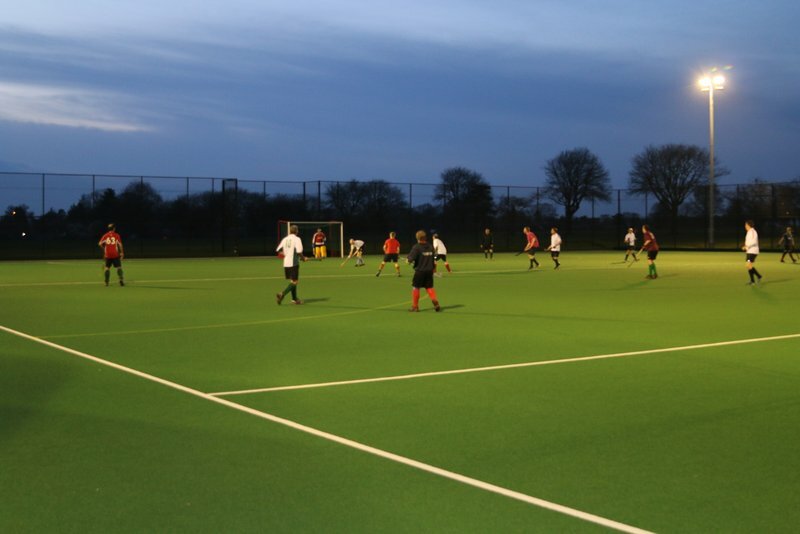 Most had played the previous day, so ageing legs were already a bit weary, however the brave souls took to the pitch not sure what to expect of their opposition. 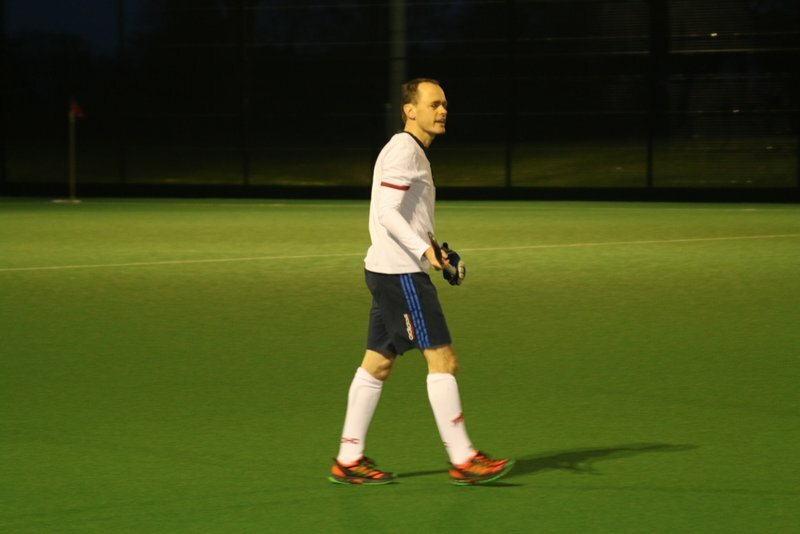 15 minutes in and an inspired substitution saw the switching of Wolfe for Wagstaff and running straight onto the pitch, Wagstaff found himself in the D with just the keeper to beat and with his first involvement in the game slotted the ball into the back of the net. So quick was his introduction to the game, his goal celebration involved tying his shoe laces! 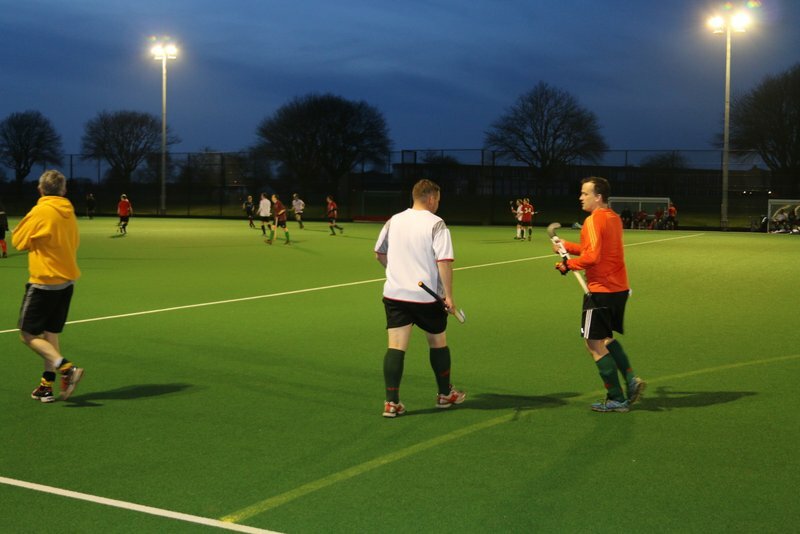 Nerves were settled and the team went on to a 6-0 lead with further goals from Snelling x2, Wolfe, Simmonds and York-Smith. With minutes left on the clock Sudbury found the net for a consolation goal. 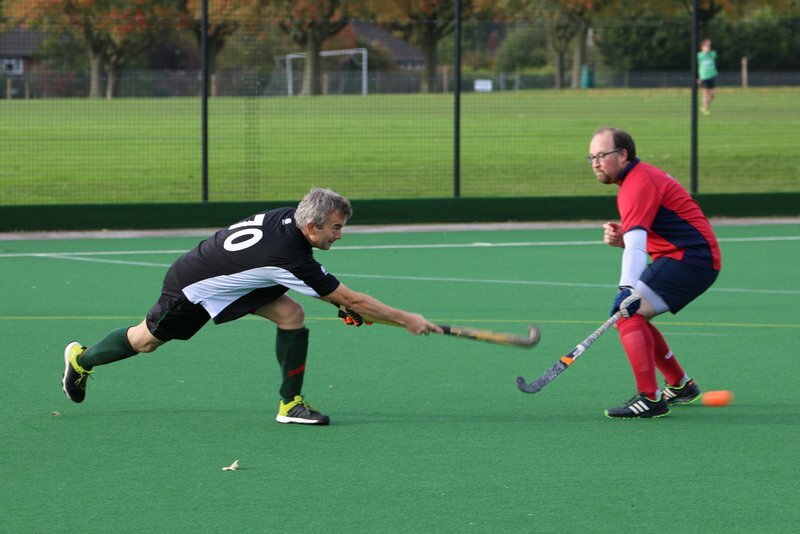 Photos from the game can be found in the Gallery here. 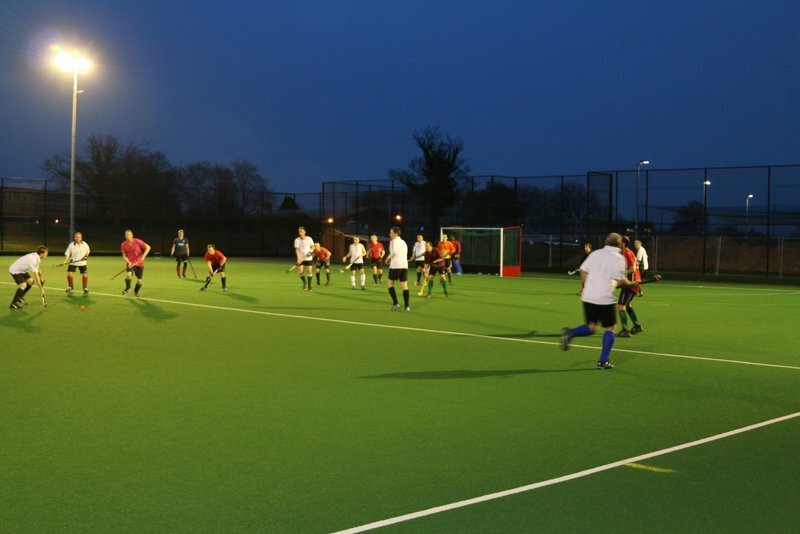 The team head off to Leicester Westleigh HC for a Valentine’s Day fixture in the Quarter Final. 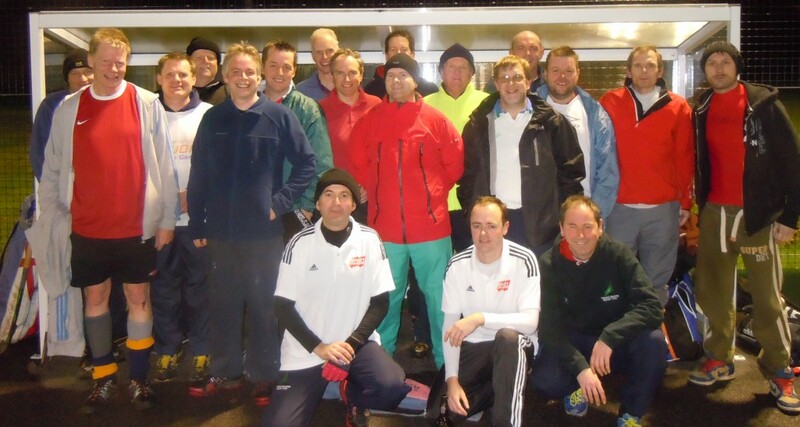 Men’s Over 40s Masters travelled to Leicester Westleigh on 14th February and progressed to the Semi Finals following a 4-2 win, with goals from Rupert Snelling x 2, Chris Simmonds and Andy Hipper. Player of the Match and winner of the Dragon Flagon was Giles Brooks. England Hockey’s draw for the semi final took place the following day and the only unplayed QF between Team Bath Buccaneers and Milton Keynes was drawn at home against Norwich Dragons. So the Masters had to wait until after 21st February to see who they will be playing in the Semi, either way it is an away trip for them. The other Semi Final sees Wisbech (who had their QF conceded to them by Leeds Adel) at home to Aldershot & Farnham HC. Team Bath Buccaneers beat Milton Keynes, setting up a long away trip on Mother’s Day for the Dragons. 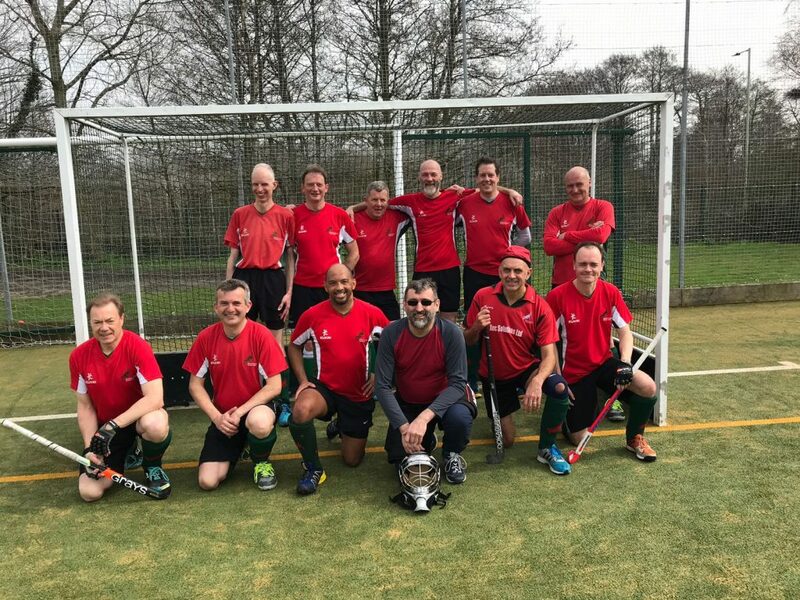 The semi final of the England Hockey Men’s Masters over 40s Shield took place at the University of Bath between Team Bath Buccaneers and Norwich Dragons. 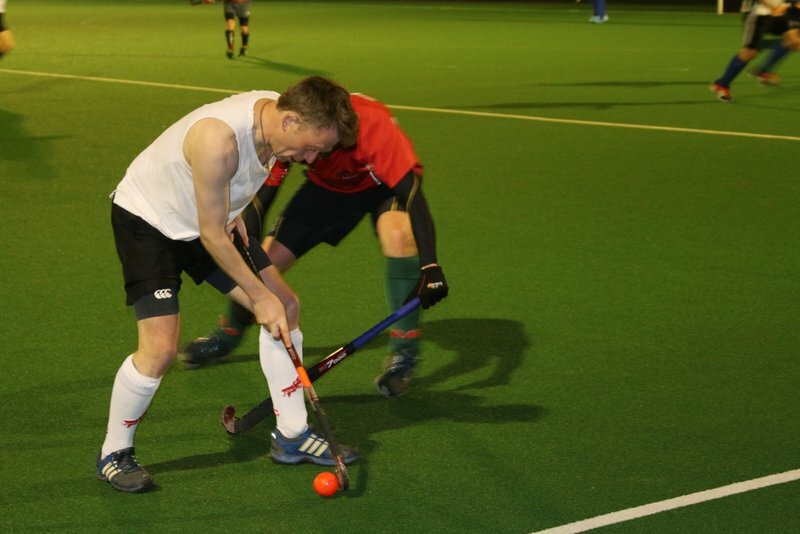 Dragons felt they were the underdogs, so went to Bath treating this as their final, however after going 1-0 down, Dragons forward Rupert Snelling had other ideas and equalised with a short corner drag flick. Player of the Match was Chris Simmonds. 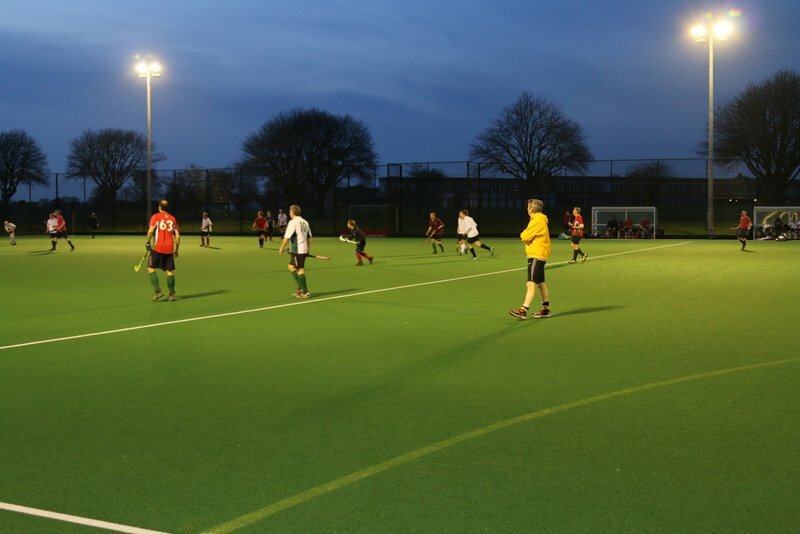 A draw at the final whistle meant the teams went straight into a penalty shootout. 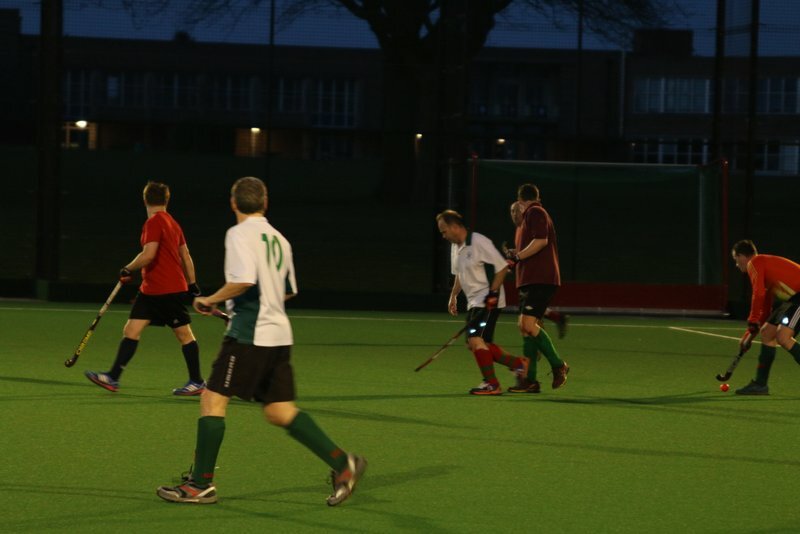 The calm heads of the visitors ensured that Dragons didn’t miss a flick and won 4-2 with Phil York-Smith, Andy Hipper, Rupert Snelling and Rob Wagstaff all slotting their flicks away. 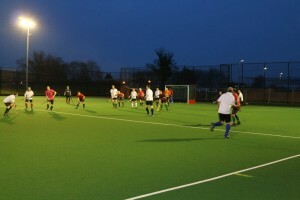 The final takes place on Sunday 1st May at the Lee Valley Centre on the Olympic Park against Wisbech HC. 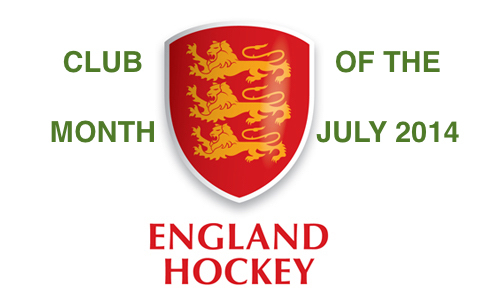 Norwich Dragons will be there for the second successive year. 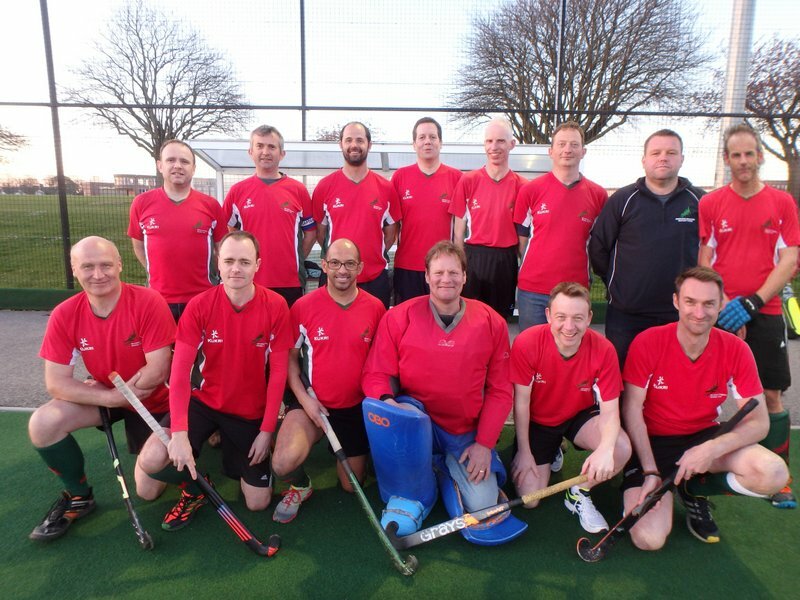 Backrow L-R : Richard Moulson, Jon Price (C), Paul Keating, Rob Wagstaff, David Pentin, Peter Latoy, Bruce McQuade (Manager), Rupert Snelling. This season’s campaign started with a loss to Wisbech in the Trophy on penalties, however that opened the opportunity of the Shield. Broxbourne conceded the first round Shield Match. Photos from 4-3 win against Epsom HC here. Photos and report from Semi Final 3-2 win against Burnt Ash here. 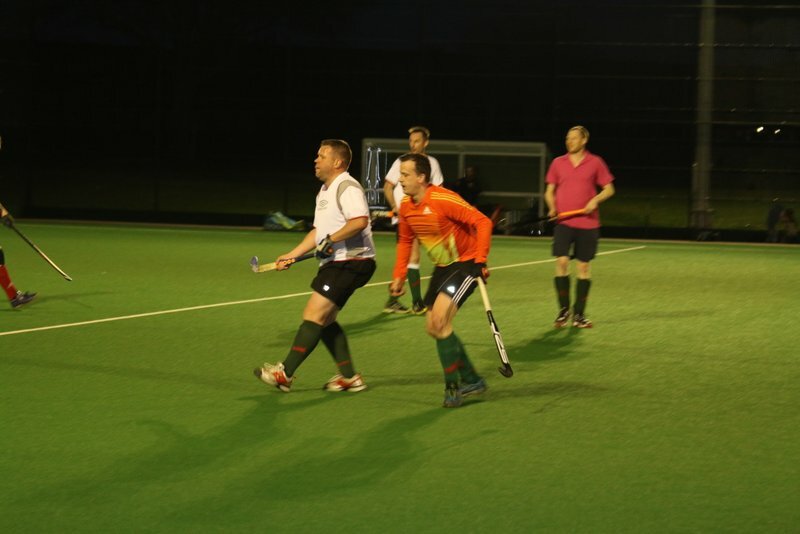 Then off to the National Finals on Sunday 3rd May 2015 they were defeated 2-1 by Taunton Vale HC, photos and report here. 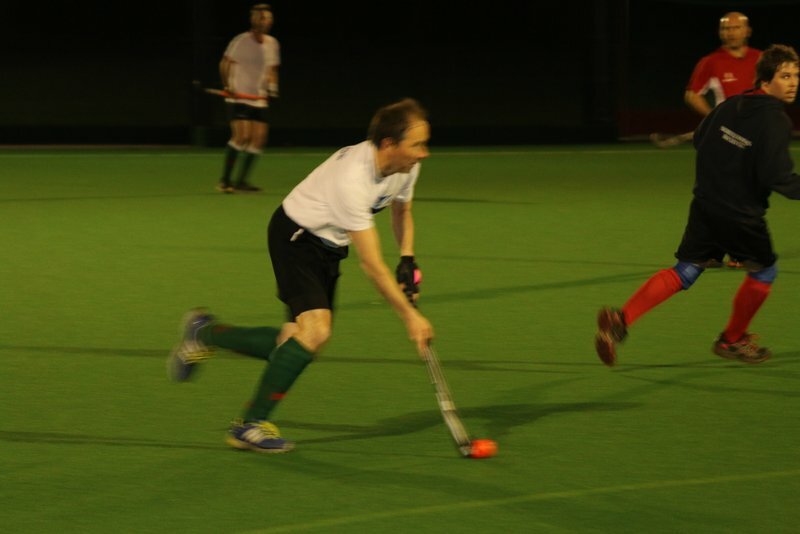 A loss in the 1st Round of the Cup saw the Masters move into the Trophy Tournament. Photos from City v Dragons fixture here and a match report here. 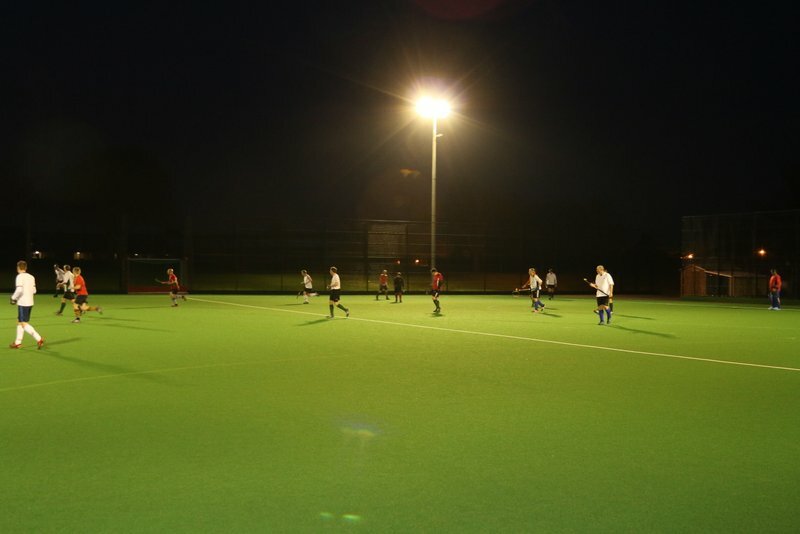 1st Round Trophy Match Report from Sudbury fixture here. 2nd Round Trophy Match Report from Luton fixture here. Over and out! !